Topic October/November 2016. A tale of the First War in East Africa and the frustrations of bureaucracy. There is strong evidence that ‘Adjutant’ was in fact Captain (later Major) George Douglas Hazzledine, who wrote under a nom-de-plume so that he could criticise the attitude and behaviour to the Frontiersmen of the Staff officers. Francis Brett Young, a medical officer with the Rhodesians who wrote an account of the capture of Tanga later in the war, Marching on Tanga, was so frustrated because he was not allowed to tell the whole truth that he later wrote a fiction book Jim Redlake, in which he put into the mouths of the characters his disgust at the behaviour of the Indian Army Staff back at Nairobi. Motor Lorries Bringing up Troops, “Times History of the War”. There were many other examples quoted. There was a need for men who could speak Swahili, not a common skill in the Indian Army although there are some similarities between Swahili and Hindi. The Frontiersmen had a number of men who were fluent in the local language, but they were seldom used, and then only in a very subordinate position with native carriers. The Staff would not listen to Driscoll and only called on him to save the day when things became desperate. Many times Driscoll and his Frontiersmen saved matters in an action. For the Frontiersmen, possible help was forthcoming. Knowing the country well, Macmillan considered that it was an area for lorries, not oxen. Much to their delight he gave them a three-ton lorry, calling it a loan. This single lorry increased their mobility beyond measure. Once at Kajiado, there was great excitement because of news coming in from the Bissel [sic] Road that some native drivers had mutinied and were looting the convoy and playing merry Harry generally. Orders were issued that the Royal Fusiliers would proceed to the spot about five miles away, with one officer and twenty rifles and so many rounds per man and do any necessary destroying. On receipt of the order a platoon of the duty company climbed into the lorry and ran out to the place instructed. There they found the natives had also looted some alcohol and were all drunk. The Frontiersmen bundled them into the lorry and delivered them to their HQ “for medical and other necessary attention”. The Frontiersmen were back in camp for their meal, probably before headquarters had time to blot off the five copies of the orders and distribute them as required. That one example should have shown HQ Staff the value of lorries in the campaign, but it was not until Smuts took command that lorries in any number were used. The Frontiersmen were to lose their prized lorry long before that happened. First we had a long wrangle with H.Q., where those who were responsible for our equipment and the conduct of the campaign for a long time failed to understand a mere battalion having a lorry. They almost gave the impression that its possession was irregular and might be a military offence under some code they had in the office. The casual racism was common for the time, but the insults to the Frontiersmen were unacceptable behaviour. As in so many occasions in the history of the Frontiersmen, that has been the attitude in varying degrees – until they have been needed to dig someone or some official body out of a hole. Anybody with military experience will be able to quote stories of official rule-book bureaucracy. 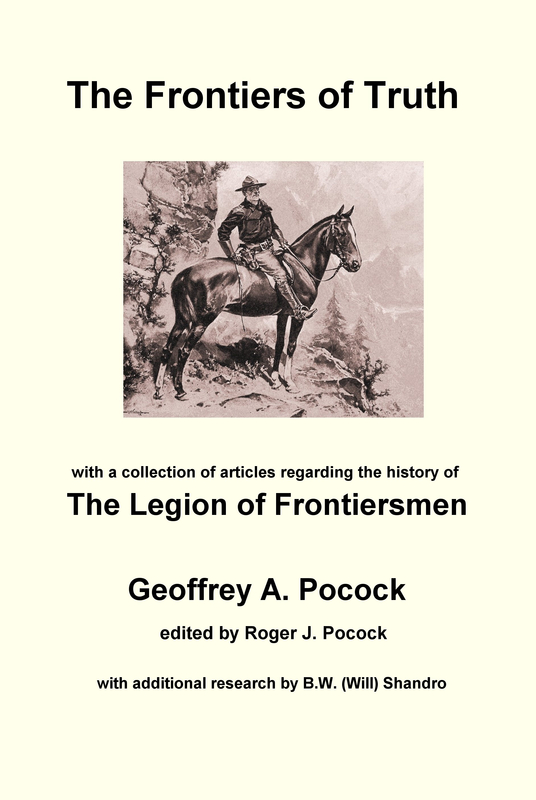 According to the opinions of the many Frontiersmen who told their stories in the pages of The Frontiersman magazine, the way the Frontiersmen were treated by the Staff officers, many of whose only experience had been in military India and never of the wildernesses of the world and especially Africa, exceeded the bounds of simple stupidity. Even the gentlemanly F.C. Selous in a private letter to W. Northrup McMillan commented that “Many officers detest our Colonel and our Battalion…”⁶ The sacrifices made over the years by Frontiersmen were often discounted, and evidence can be produced that they can sometimes still be discounted today. It is our task to remember those sacrifices and make sure they are not forgotten by studying their first-hand stories. 1918 – Compliments to Legion’s character vs military chauvinism. “A doctor recently returned from the Front after much service, expressed this opinion of the Legionnaires: “They are the finest, cleanest, straightest crowd of men I ever met. They never had half the credit they deserved for the work they did.” This was quoted by way of contrast to the opinion of a drawing-room military officer who prior to the war declared the Legion was a crowd of drunken swashbucklers. That officer, by the way, has not yet reach[ed] the Front!” AUCKLAND WEEKLY NEWS, page 51, 14 FEBRUARY 1918. ⁴ “The Frontiersman” magazine March 1923. The author of this wrote under the nom-de-plume of O.C.A. and made numerous other contributions to the magazine in subsequent years. There can be no definite identification of who was this O.C.A. We have consulted Steve Eeles, whose website: http://www.25throyalfusiliers.co.uk is dedicated entirely to the 25th Bn Royal Fusiliers (Frontiersmen) in East Africa, and whose website we heartily recommend. He suggests that the letter could most probably have been written by Oscar Lindley, who “was the battalion’s Orderly Room Sergeant, later C.Q.M.S., and who would have been ideally placed to know all the workings of the battalion…” The evidence is circumstantial, but there is no other likely candidate. We are very grateful to Steve Eeles for his help and advice. Please do visit his website. ⁶ W.N. McMillan scrapbooks at the Bodleian Library of Commonwealth & African Studies at Rhodes House. This entry was posted in East Africa Frontiersmen, Frontiersmen, History, Latest Topic, Legion of Frontiersmen, New Zealand, World War I and tagged 25th Battalion Royal Fusiliers, Driscoll, Francis Brett Young, Selous. Bookmark the permalink.